The pop star admitted being “terrible” at knowing which of his tracks would be hits and said he did not want to include the popular ballad on his 1974 album Caribou. Sir Elton made the revelation in his new TV special, Elton John: The Nation’s Favourite Song. He said, of predicting his own hits: “I’m terrible at it. One of them was Don’t Let The Sun Go Down On Me. “And I remember writing it in the morning and my drummer Nigel Olsson – we were sharing a cabin, he was asleep – and I was downstairs writing, which must have annoyed him. Don’t Let The Sun Go Down On Me – written by Sir Elton and his long-time musical partner, lyricist Bernie Taupin – reached number 16 in the UK singles chart at the time. It enjoyed renewed success in 1991 when Sir Elton recorded it as a live duet with George Michael, topping the charts in both the UK and US. 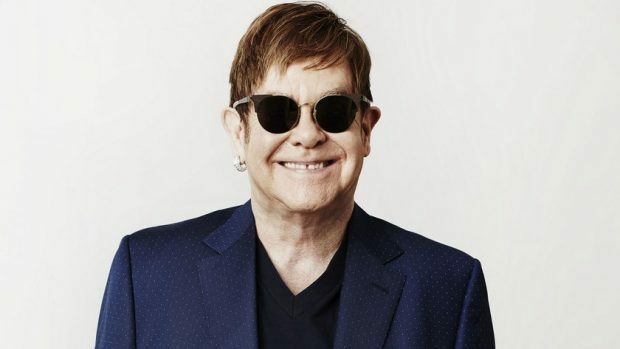 The ITV programme, which airs on Sunday, celebrates Sir Elton’s 50 years in the music business in the year that he turned 70, and sees the nation choose its favourite song of his. The 90-minute broadcast also features contributions from Sir Elton’s friends and fans, including Ed Sheeran, Sting, Annie Lennox, Sir Rod Stewart and Chris Martin, and an in-depth interview with David Walliams. :: Elton John: The Nation’s Favourite Song airs at 9pm on Sunday on ITV.